The chapter discusses the general properties of equations with a set of trajectories. Here a regularization procedure for the set of uncertain equations is proposed. 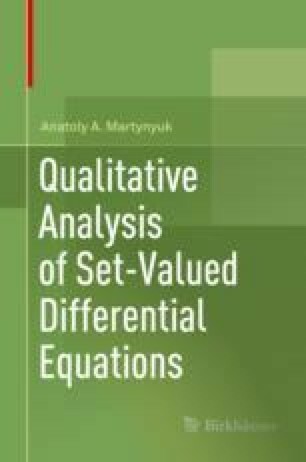 The chapter addresses general properties of equations with set trajectories. A regularization procedure is proposed for the set of uncertain equations and sufficient conditions for the existence and uniqueness of solutions are established. Moreover, estimates are given for solutions of perturbed motion of systems, in which the change of the state vector is subject to the generalized derivative.